10 holiday hosting hacks to help you prep for the party in less time with less headache and create a memorable, charming holiday event! Hosting for the holidays is enough to cause anyone a bit of stress even if your blooming Martha Stewart. Ok, well, maybe not if you are Martha. For the rest of us hostesses who want to have the mostest, holiday dinners are exciting in prospect, but also a lot of work: there’s the cleaning of the house, the grocery shopping, the cooking, the decorating…well you know the gist. All of us have tricks up our sleeves to make hosting holiday events a bit easier and less stressful. 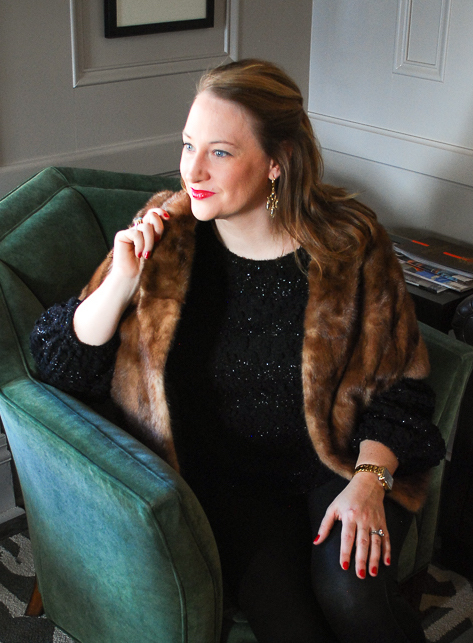 With Thanksgiving just around the corner and the Christmas whirl looming large, I thought I would share a few of my tricks with these 10 holiday hosting hacks to help you manage the planning and prepping with ease. Plan your menu accordingly so that there are 2-3 dishes you can make in the days before the dinner. Whether it is a cranberry relish that needs to sit or a casserole that can be frozen, preparing these recipes early will help take some of the pressure off the day of the party. Just don’t forget to pop the dishes out of the freezer on the big day! Two of my go to make ahead dishes are this zesty cranberry relish that has triple sec in it and must marinate for 2 days and my mother’s famous sausage quiche, which freezes beautifully. Ask guests to bring a special dessert or to help man the bar during your holiday gathering. This holiday hosting hack may be one of the more difficult ones or maybe it’s only difficult for type A, control freaks like me. 😉 The more hosting I do though, the more I’ve come to realize the brilliance of this tip. For one it relieves the hostess of some chores and two it involves your guests in the party in a way that they feel important. With holiday events where the party is mostly made up of family, asking guests to help is even more important. Chances are your mother or aunt has a traditional recipe she’s made every year for the last 20 or so, and everyone loves it. So of course she should bring it! 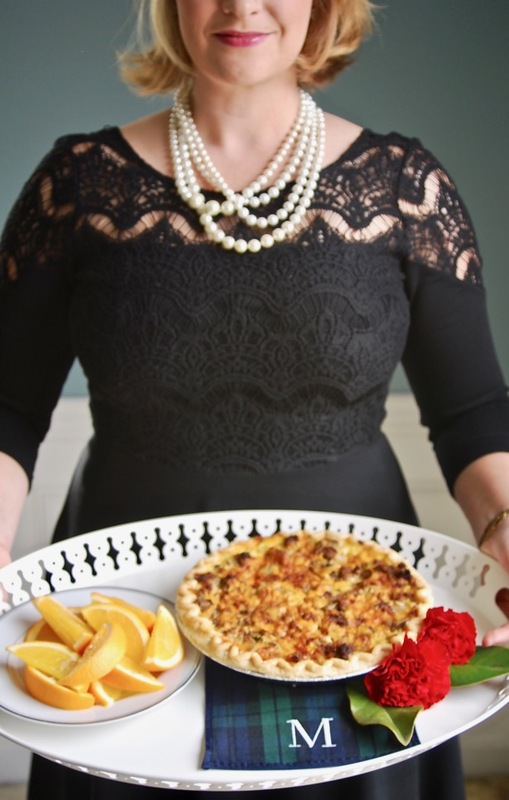 Remember your true goal as hostess to create a charming event where everyone feels welcome and cherished! To this end, understand that asking certain guests to help will make them feel more comfortable and valued. 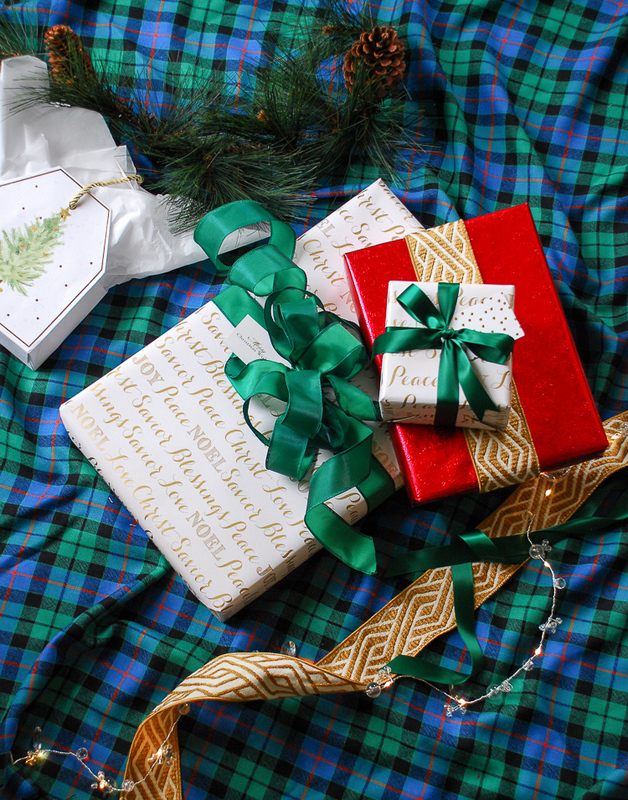 Get your Christmas shopping done early and wrap the presents up prettily. Add jaunty bows and nice gift tags to make them part of the holiday cheer. Then scatter the gifts around on the hearth or in big baskets don’t just put them under the tree. Holiday hosting hacks are all the better when they kill two birds with one stone. Am I right? If guest are simply coming over for dinner, deep clean the high traffic areas and any areas the party will take place. Shut the doors to the rest of your house! Unfortunately, there is not much hope of escaping dusting, vacuuming, and mopping the entertaining areas unless you hire a cleaning service, which isn’t a bad idea if you are short on time. Be sure to clean the baseboards, dust the chandeliers for cobwebs, and refresh all the linens in the bathrooms. I also swear by a diffuser with lemongrass, eucalyptus, lavender, rosemary, and a tea tree oil mixture for a fresh clean smelling house! If you are a fan of leftovers go ahead and buy the ingredients to transform leftovers into meals for the rest of the week. If you dread keeping all that food around, buy inexpensive Tupperware to fill with the leftovers and little brown shopping bags to pop those inside, then send these little “doggie” bags home with guests. There is a reason hostess have served punch for hundreds of years: you make it and forget it! Guests then serve themselves! One of the most brilliant holiday hosting hacks! Jazz up this tried and true hosting trick by making a batch of hot toddy punch and keep it in a crock pot. 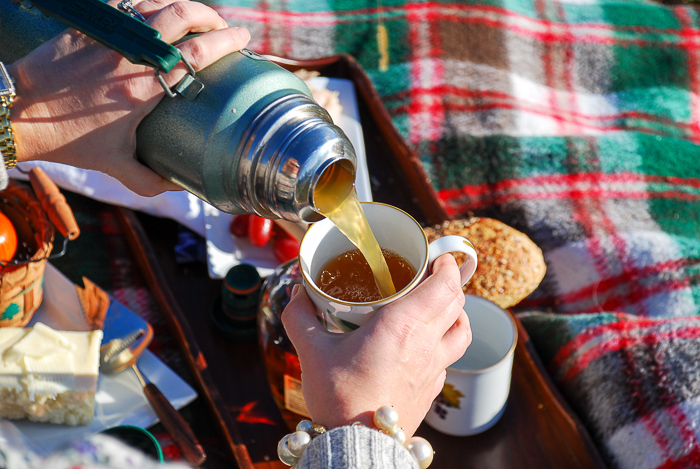 I swear by my recipe for this apple cider toddy with pineapple and bourbon! This seems like a no brainer, but don’t forget to empty this all important device in the hub and buzz of getting ready for the party. With the dishwasher empty any dishwasher safe cups, glasses, and plates can go right in after a brief rinse. There is absolutely nothing wrong with taking a few short cuts when preparing a big meal for holiday guests. In fact, I think it is fun to share great brands with friends and family, so they know what goodies to buy for themselves. One of my seasonal favorites is World Market’s Butternut Squash Bisque with apples, brown sugar, and sage. 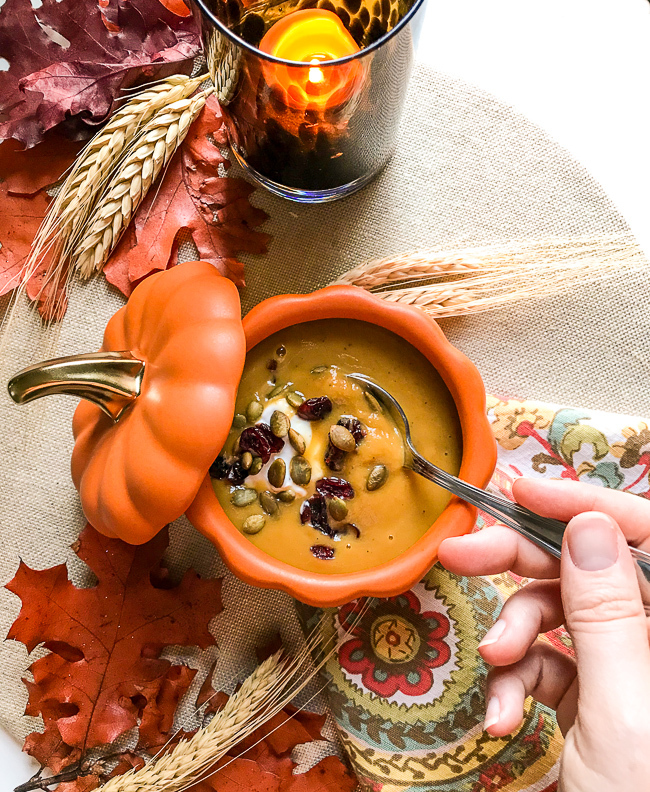 Serve this as a first course or with a salad for a pre or post Thanksgiving meal, but jazz the soup up with a dollop of plain Greek yogurt, toasted pepitas, and dried cranberries. The toppings make the soup look extra special and amp up the flavor. Instead of that messy coat pile on a bed, why not turn a shower rod into a coat rack. Gather up a bunch of extra hangers, pull the shower curtain to one side and you are ready to go! Add a touch of whimsy, something unexpected that sneaks up on guests like this happy little grasshopper tucked into the flower arrangement. It is a wonderful conversation starter, and fun for the kiddos. 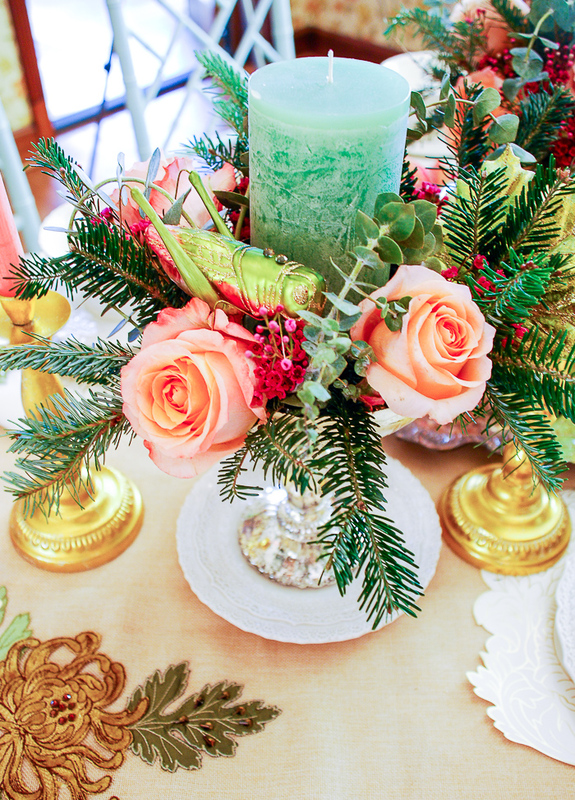 See more of the above Christmas tablescape here! One of my favorites whimsical tricks is borrowed from the Brits. For Christmas I love to put poppers at everyone’s place setting. They are wildly fun to open and then guests get to read the jokes and discuss the toys inside. Whimsy helps create that Christmas magic that will make your holiday gatherings memorable! I hope these 10 holiday hosting hacks help you create a charming and warm holiday gathering with ease. 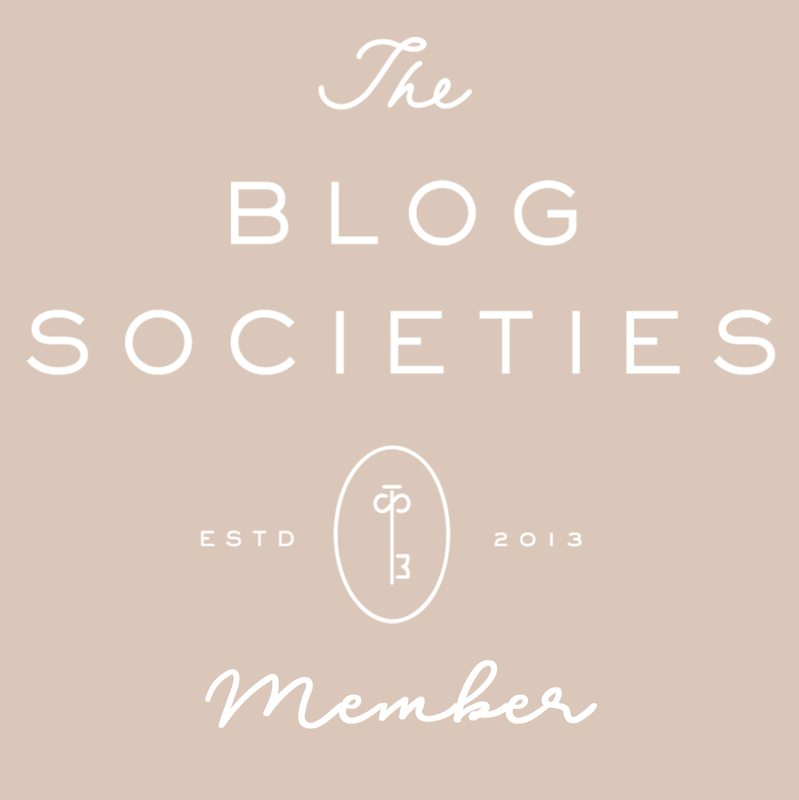 I would love to hear how you tackle prep for your holiday gatherings. Share one of your tried and true hosting ticks below!